If you log onto the once-popular virtual currency exchange, Cryptsy, you can see the virtual version of tumbleweeds blowing through a western town in the form of “volume – 00.00” across the board. On January 14, 2016, the host “Big” Paul Vernor posted this blog post stating that hackers had back-doored their way into the wallets in 2014 and absconded with 10,000 bitcoin and 300,000 litecoin (total is between $4 – 4.5 million). Vern’s post noted that options included (a) hacking to get it back, (b) someone buying the site and debt, and (c) bankruptcy. A new lawsuit has been filed which might signal that option “c” may be likely. At least one report shows pictures of Cryptsy’s offices in Delray, Florida which allegedly have been abandoned. There had been prior signs of trouble. Big Vern’s Twitter handle noted some issues in January 2016 and December 2015. The site CryptoCoinsNew.com has been hounding Cryptsy on the story for months, as you can see here. BankInfoSecurity.com also has a solid recap, here. Apparently unrelated to the recent hack, a law firm sitting waaaay out in Coral Springs, Florida filed a would-be class action suit lead by a Fairfax, Virginia woman who claims that the sites’ alleged unlawful conduct “den[ied] account holders the ability to obtain funds in their accounts and in misappropriating funds held in the Cryptsy accounts.” It is unclear why this suit was filed in state court or whether there truly is an identifiable (and legally sufficient) class. 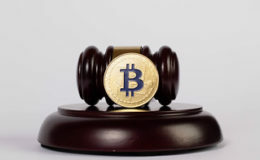 The lawsuit focuses on withdrawal issues and posts arising from November 2015 and, relying on the CryptoCoinsNews story, goes to the January 2016 phishing incident. They further claim that Cryptsy vacated their offices (here) and that the Plaintiff cannot access her (approximately) $14k. The suit alleges that there is a class which is owed more than $5 million dollars (a generic claim since that’s what’s needed to seek certification). You can read the suit, here. Likely, the suit will be amended due to the most recent disclosures of a complete theft. Meanwhile, the Cryptsy site sits, open but inactive. The timing of this hack is interesting since the North American Bitcoin Conference rolls into Miami, Florida this coming Thursday-Friday.